Someone found it! Blissed Out! Here is Amelia after her 20 minute Reiki session. You would never know that she is usually a crazy, wild cat that leaps 6 feet into the air and pounces on anything that moves. She is high energy and fast as a Puma so I must help bring her into balance so that she can live among humans! 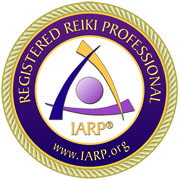 If you have hyperactive tendencies, anxiety, ADD, ADHD, PTSD or anything of that ilk, consider a Reiki session to gain your equilibrium! Next > A Bit Of News!